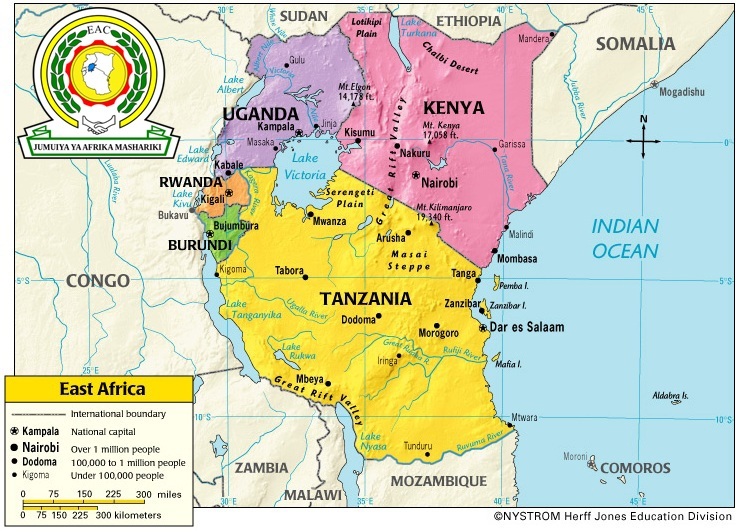 KAMPALA- East African Community (EAC) leaders on November 30, 2013 signed a protocol paving the way for the establishment of a Monetary Union, the third pillar in the five- member economic bloc’s integration process. Uganda’s Yoweri Museveni, Kenya’s Uhuru Kenyatta, Tanzania’s Jakaya Kikwete, Rwanda’s Paul Kagame and Burundi’s Pierre Nkurunziza signed the document on behalf of their countries. “We are responding to the imperative of our times: to expand our respective national capacities while at the same time integrating in order to optimize our benefits from the economies of scale. Everywhere in the world, markets are coalescing into formidable economic powers,” said Kenyan President Uhuru Kenyatta after the signing ceremony. The Monetary Union will come into effect after three member countries conform to the already agreed upon economic bench marks. The signing of the protocol sets the stage of an eventual phasing out of national currencies paving way for a single regional currency. According to the protocol, the single currency will come into effect after a period of 10 years during which relevant institutions like the East African Central Bank, the Statistics Commission and others have to be in place. The EAC states will not get automatically membership to the Monetary Union until they meet the required conditions. The protocol provides that member states maintain an inflation rate ceiling of eight percent. Countries will be expected to sustain their debt to GDP ratio at not more than half, and a tax to GDP ratio of 25 percent to qualify to join the Monetary Union. The EAC already boasts of having a Customs Union and a Common Market. It has a combined population of close to 140 million people and GDP of 84.7 billion U.S. dollars. This is not the first time the region is going to have a common currency. “If you rush back into history, you will find that during the East African Currency Board era, the partner states of Uganda, Kenya and Tanzania used to have a common currency, the fiscal discipline, the expenditure discipline were at the highest international levels ever,” said Enos Bukuku, EAC Deputy Secretary General in charge of Planning and Infrastructure. The implementation of East African Monetary Union has been designed putting into consideration the financial crisis the Euro Zone faced, according to Bukuku. “We need to coordinate our fiscal policies. In Europe, without a strong fiscal coordination and harmonization, the Euro zone ran into politics,” he said. The protocol stipulates that all member states have to adhere to strict observance of the agreed macro economic convergence criteria. Measurements of statistics has to be the same in the five partner states. “We have to harmonize the ways and methods by which we measure inflation, GDP, budget deficit, the methodology the yard stick has to be the same,” said Bukuku. Several institutions have to be put in place for the effective implementation. “The estimate now is that it will take us 10 years to put in place supporting infrastructure then you move to a single currency, ” Louis Kasekende, Deputy Governor of Uganda’s central bank, told reporters here. He said for the Monetary Union to work there must be a frame work for decision making and the set institutions must be given powers to make independent decisions.